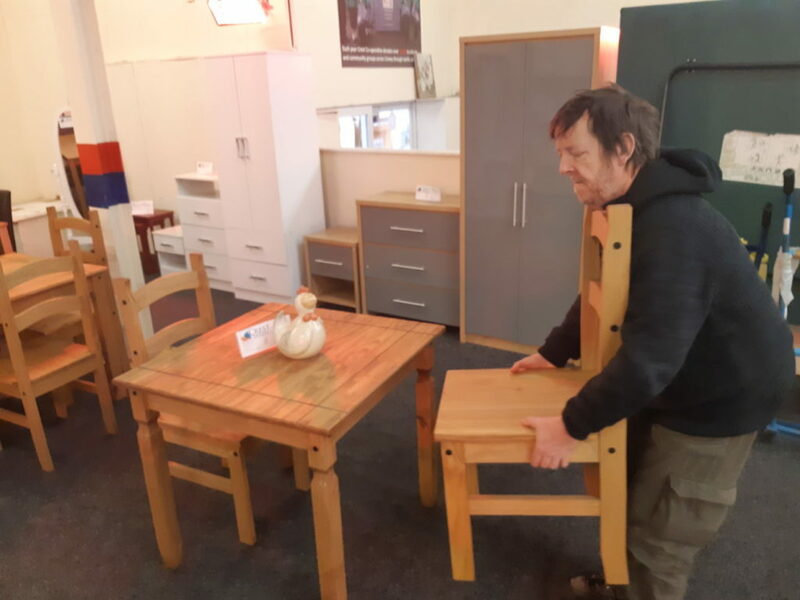 Ian Hawkins volunteers in our Retail department, specifically in our Colwyn Bay shop where he helps customers bring furniture to and from their cars, serving on the tills occasionally and is always there to meet and greet people at the door. 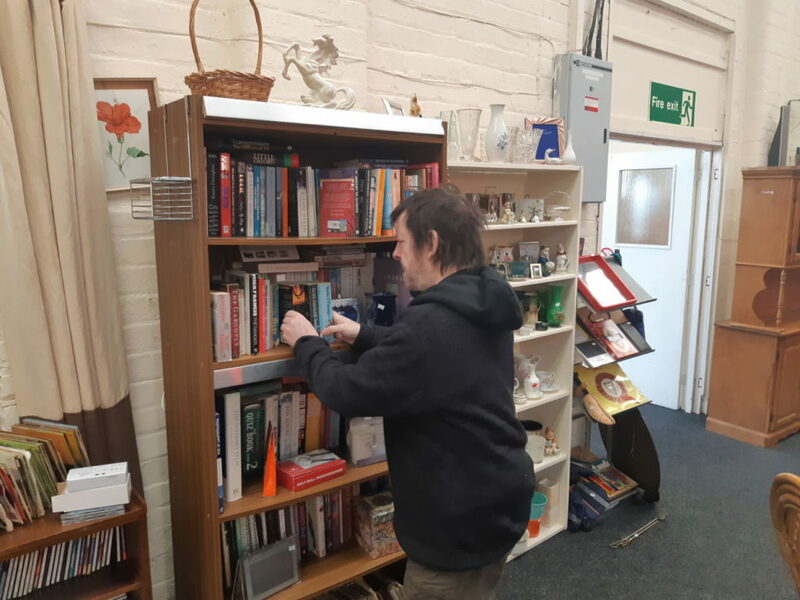 He’s done more hours than any other volunteer on our books! Here’s what he had to say about his time at Crest Co-operative! Thanks for taking a moment of your time to speak with us and for all your help volunteering. How long have you volunteered at Crest Co-operative? Ian: Nearly three years – June 2016. 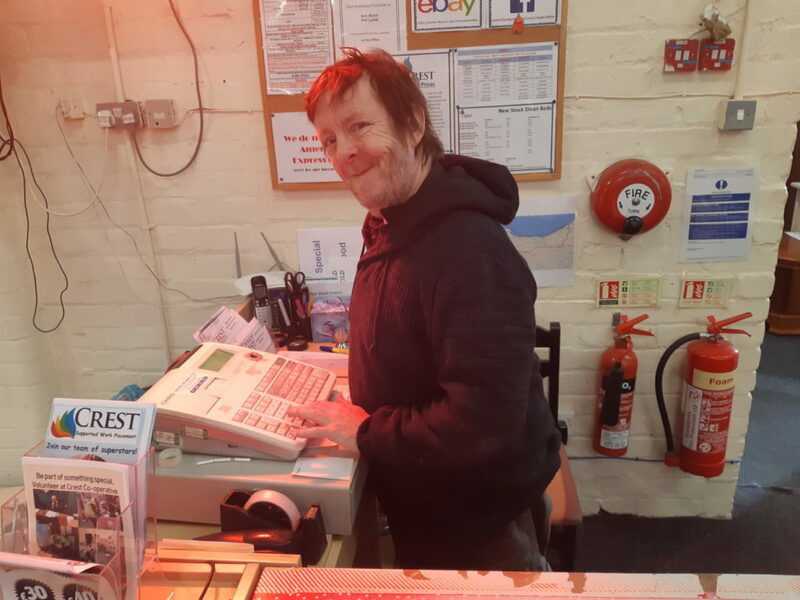 Ian: Mixing it up with both customers and the staff. I find a lot of satisfaction in helping people. Ian: Reliable, punctual and determined! Ian: I like to watch the TV and play video games on the Playstation. I spend time with my family when I can. Ian: I get on with Ann the most. We get on really well and have a good laugh – we work well together. Ian: It gives me something to do. It gives me work experience to help me get a job in the future. I found Crest through the Job Centre and, I’m not fed up yet so it must be doing something good!